Illuminating the Text with a Light! 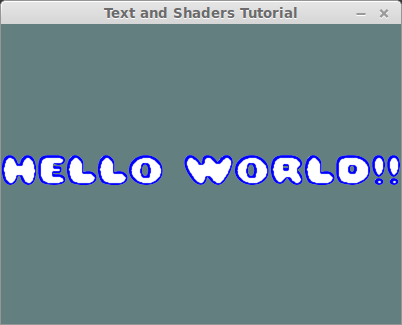 In this tutorial, we're going to import a font to be used with your Orx game, and play some advanced tricks with it using our favorite image editor and some shaders! You can find the source code in this git repo, the commits in that repo follow the order of the tutorial sections. 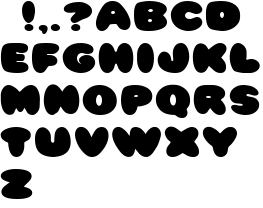 We start by downloading a font (.ttf) to be used with our game. 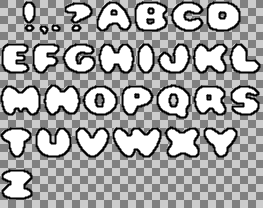 For this tutorial, I've chosen the free Pleasantly Plump Font. 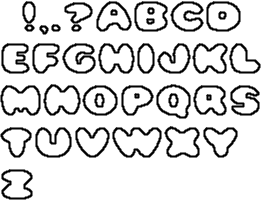 These two files are all you need to use this font in your game, copy them to somewhere your game can find them. 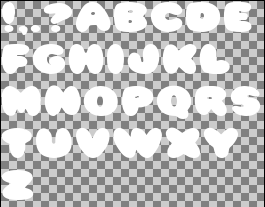 Important note: plump.ini file indicates that the font Texture is plump.png, which means that plump.png is at the root of your data folder! This is the code so far. Nice! This is the code so far. 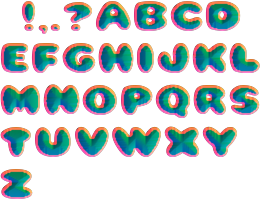 At this stage, we want to be able to change the text border and fill colors independently, but we've baked the border color into our font texture. This is where our custom shaders come into play. If you run the game now, you'll see no trace of the border since we're ignoring the RGB of the texture now! 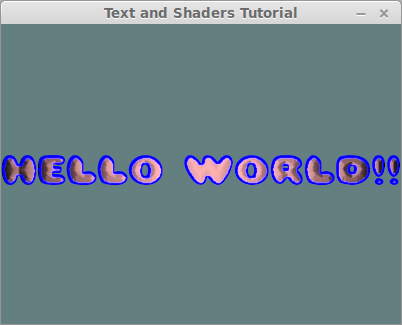 Now we can change the text border color in config. Here's the code so far, and here's what we've changed. 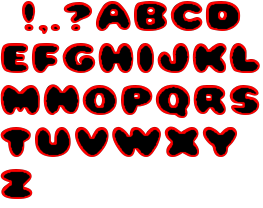 So far, we've been using the red and alpha channels of the font texture, we still got two more color channels that we can have a lot of fun with :) One application I could think of for utilizing those two channels was illuminating the text as if it were embossed. While the selection is still active, use the gradient tool with primary color = white, secondary color = black, and with a gradient type of “Shaped”. At this point, we've created a bump map for our glyphs. Think of this image as a height map. To be able to use this height map for illumination, we actually need its gradient in x and y directions. Briefly, the gradient of an image in x is the image that shows its rate of change at any point when we move in the x direction. Remove the red and blue channels by zeroing their curves. 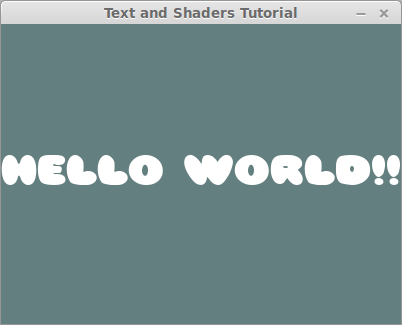 Follow the same steps as those for “GradientX” but use as the matrix, and remove the red and green channels this time. Great! Now a reddish light source is illuminating our greeting text. This is all the code, and this is what we needed to add to make the demo interactive.